Successfully Added HK Warehouse Ulefone S7 Android Phone - Quad-Core, 5-Inch Display, Android 7.0, 2GB RAM, Dual-IMEI, 3G, 8MP Cam (Gold) to your Shopping Cart. 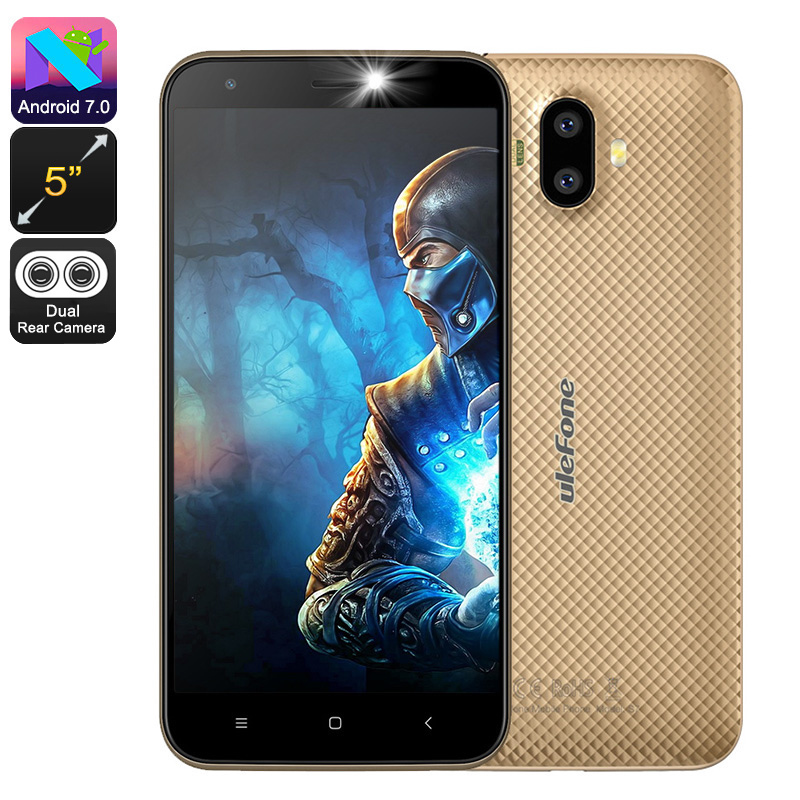 If you’re looking for an affordable Android phone that meets all your basic smartphone needs, the Ulefone S7 is perfect for you. This cheap Android phone features a Quad-Core processor and 2GB RAM. It is capable of tackling games, movies, and Apps. On the phone’s 5-Inch display, you’ll be able to enjoy all your favorite media on the go in crisp 720p HD resolutions. With its 16GB internal storage and 128GB SD card slot, you won’t have to worry about storage space anytime soon. You’ll be able to stay entertained throughout the day thanks to a sophisticated 2500mAh battery that brings along hours’ worth of usage time. 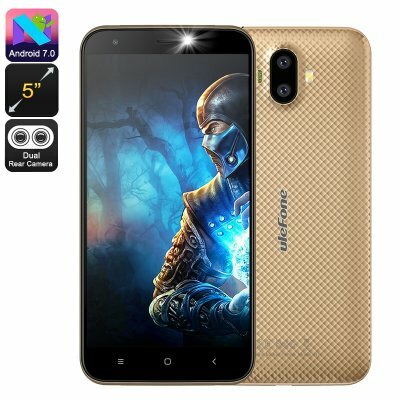 The Ulefone S7 runs on an Android 7.0 operating system. This means that you’ll be treated to a smooth and lag-free user experience at all times. With its Dual-IMEI numbers, the phone brings along great connectivity. You’ll be able to slide in two SIM cards and stay connected to two network providers at once. This comes in particularly handy for when you’re traveling abroad or if you wish to separate work and private life in one smartphone. With its 3G support, you’ll be able to browse the web even while you’re not at home. The Ulefone S7 is a cheap Android phone that will always keep you connected.